World Finally Notices Plight of South Africa’s Minority Farmers | Land & Livestock International, Inc.
…the fact that the plight of Afrikaners is now in the world media suggests the issue is coming to a head. Americans, as the closest cousins in the world to embattled Afrikaners, must pay attention. Plus, the fate of the Afrikaners has been widely described by analysts as the canary in the coalmine for Western civilization. The stakes are that high. After years of government-linked slaughter, torture, abuse, and hatred against embattled European-descent farmers in South Africa, the radical government might have finally gone too far by openly vowing to steal their land without compensation. Now, it seems, the world is taking notice. Whether it is too little, too late remains to be seen. The openly racist and communist government leaders of South Africa have been left with few options but to claim that anyone who notices reality is “racist.” But the truth is coming out anyway. Last week, Australian Home Affairs Minister Peter Dutton sparked headlines around the world by highlighting the systemic atrocities being faced by white South African farmers. “If you look at the footage and read the stories, you hear the accounts, it’s a horrific circumstance they face,” Dutton was quoted as saying in media reports, referring to European-descent farmers in South Africa known as Boers. Until recently, the establishment was able to keep the looming storm-clouds over South Africa hidden from the world. Then, last month, the South African Parliament voted to change the Constitution to allow the regime to seize white-owned farms to “redistribute” them without even paying the owners a penny — even if their forefathers settled the land 14 generations ago and no known human had ever set foot on it before then. After the horrors in neighboring Zimbabwe caused by the same racist and communist policies, that open call for confiscation of land, it seems, sparked renewed global interest in South Africa. Now, people all over the world are paying attention. Unsurprisingly, the ruling South African government — an alliance of the Communist Party and its fronts such as the African National Congress and an umbrella for unions — feigned outrage over the comments. “The South African government is offended by the statements which have been attributed to the Australian Home Affairs Minister and a full retraction is expected,” the South African Foreign Ministry said in a statement, accompanied by a number of tired accusations of “racism” by top officials. While Australian Foreign Minister Julie Bishop denied that special plans were being made to fast-track immigration for persecuted South African farmers, she did express concerns about the regime’s efforts to steal land based on race. “The message that we urge upon the South African government is that they seek to ensure the security of all their citizens and we certainly urge the South African government that any changes to land ownership for example are not disruptive to the economy nor lead to violence,” Bishop said, adding that concerns had been raised with the government there. In the United States, word of the dire situation facing the Christian Afrikaner people — descendants primarily of Dutch, German, and French but forged into a unique nation in Southern Africa — is spreading quickly too. A petition asking President Donald Trump to offer asylum has garnered thousands of signatures and widespread national and international attention. Among other concerns, the petition notes that the government-backed land heists will “dispossess victims of their history, culture, farms, property, and jobs.” As such, it calls on the U.S. government to “intercede” by admitting them as refugees to avoid “a complete genocide of South Africa’s white population.” Similar petitions and efforts are being made in Europe to allow white South Africans to obtain asylum there. When European-descent South Africans voted to surrender political power and control over their own destiny in the face of a relentless terror and propaganda campaign backed globalists and communists worldwide, they were offered a number of guarantees. Those included the security of private property rights, the ability to operate their own Afrikaans-language schools and cultural institutions, and the ability to preserve their own unique culture, language, and identity. Almost from the start, the Soviet-controlled ANC — even Nelson Mandela was a secret member of the Kremlin-controlled South African Communist Party’s Central Committee — broke those promises. But now, the “Second Phase” of the communist revolution has officially started. Most recently, the vote in Parliament to change the Constitution would allow theft of land without compensation. But the premise purporting to justify the mass theft — the idea that white South Africans “stole” the land — is absolutely and provably false. Last year, Malema said he was “not calling for the slaughter of white people — at least for now.” But like other racists and communists, Malema has long been known for singing songs advocating the extermination of the white minority. More recently, he boasted of “cutting the throat of whiteness,” an especially ghoulish proclamation in light of the barbaric murders of thousands of South African farmers and their families since they voted to surrender political control. Media reports and warnings about the situation in South Africa have been growing louder for years. In fact, The New American magazine warned about what was coming in the late 1980s and early 1990s in what now appear to be practically prophetic articles by William F. Jasper and others. This publication sounded the alarm in a cover story more recently as early as 2012, when the world’s leading authority on genocide warned of a genocidal campaign against white farmers that evidence suggested was linked to the regime. “There is direct evidence of [South African] government incitement to genocide,” explained Dr. Gregory Stanton of Genocide Watch after a fact-finding mission to the country. Of course, the former anti-Apartheid activist’s warning was ignored by the establishment media. But it was hardly open to dispute — after all, the president of South Africa at the time, Communist Party veteran Jacob Zuma, was openly singing songs advocating the slaughter of white farmers. The current president, Cyril Ramaphosa, is also guilty. With the latest comments from Australian leaders, the establishment press in America has finally been forced into covering the issue as well. Both the New York Times and the Washington Post, two of America’s leading left-wing establishment propaganda outlets, have written on it. Primarily, though, the coverage has sought to downplay the enormity of the crisis, with some particularly grotesque commentaries even ridiculing the victims. “So, the only possibility is secession,” Booyens said. The New American will explore the topic of independence for the Western Cape, where Afrikaans speakers are still in the majority, in an upcoming article. A number of organized efforts to achieve self-determination, including within a defined territory in the interior of South Africa where Afrikaners represent a strong majority, are already underway. And the Afrikaners have allies among some of South Africa’s other people groups, including the Khoi and the San, who have also been terrorized and bullied under the Communist-ANC regime. Either way, the fact that the plight of Afrikaners is now in the world media suggests the issue is coming to a head. Americans, as the closest cousins in the world to embattled Afrikaners, must pay attention. Plus, the fate of the Afrikaners has been widely described by analysts as the canary in the coalmine for Western civilization. The stakes are that high. Foreign Correspondent Alex Newman moved to South Africa on his 18th birthday and developed a deep love and respect for its people while living there in 2004-2005. Follow him on Twitter @ALEXNEWMAN_JOU or on Facebook. He can be reached at anewman@thenewamerican.com. 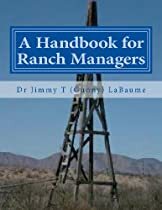 A Handbook for Ranch Managers. In keeping with the “holistic” idea that the land, the livestock, the people and the money should be viewed as a single integrated whole: Part I deals with the management of the natural resources. Part II covers livestock production and Part III deals with the people and the money. 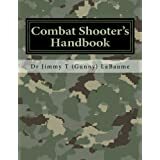 Not only would this book make an excellent basic text for a university program in Ranch Management, no professional ranch manager’s reference bookshelf should be without it. 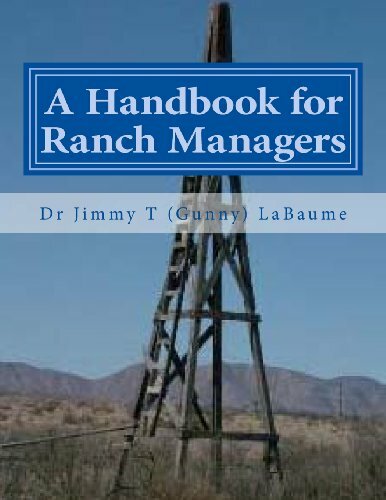 It is a comprehensive reference manual for managing the working ranch. The information in the appendices and extensive bibliography alone is worth the price of the book. You might also be interested in the supplement to this Handbook: Planned Grazing: A Study Guide and Reference Manual. This entry was posted in South Africa, Uncategorized and tagged South Africa. Bookmark the permalink.